The book of Daniel is one of the most significant prophetic books in the Bible. Its prophecies of world-ruling empires are closely related to Revelation. When studying events that are going to occur prior to and after the return of Jesus Christ to earth, many turn to the book of Revelation. And while this last book of the Bible is indeed one of the primary places to find these prophecies, many do not realize that the book of Daniel is an Old Testament complement to this intriguing New Testament book. While another article on this website focuses on Daniel’s role as a prophet (see “Daniel the Prophet”), here we wish to focus on the book’s prophetic significance and its relationship to the book of Revelation. Let’s begin by noting some of the unique and distinguishing characteristics of this book. The history of the book of Daniel’s placement in the Old Testament reflects its broad-based perspective. In the Hebrew canon it is considered part of the third section of the Old Testament, the Writings; while in the Septuagint (the Greek translation of the Old Testament) and English versions of the Bible it is placed among the prophets. Puzzlement over where to place the book is not surprising, given the fact that God used Daniel to reveal some of the most amazing, complete and far-reaching prophecies about human governments and the coming Kingdom of God that are found in the Bible. Daniel prayed for his people, as did the prophets; and he carefully studied what the other prophets had written. In this sense, Daniel clearly served in the role of prophet, and Christ plainly called him “Daniel the prophet” (Matthew 24:15). But his book is markedly different from those of other prophets. Similar to the authors of the books of Psalms, Proverbs, Song of Solomon and Ecclesiastes, Daniel shows himself to be a wise, intelligent and highly capable man. Being adept in several languages (Daniel 1:4), Daniel wrote his book in both Aramaic (chapters 2-7), which was the international language of the world in his day, and his native Hebrew (chapters 1 and 8-12). Like Joseph who had served in the court of Pharaoh, Daniel capably served in one of the highest positions in the Babylonian Empire under King Nebuchadnezzar. We should also note that both of these kingdoms—Egypt and Babylon—were the leading nations or kingdoms of the world in their day. Because of these points, it is easy to see why the scribes placed the book in the Writings section of the Old Testament. Of course, the wisdom of these men who authored books in the Writings section came from God (2 Timothy 3:16). Daniel also had a deep love for God and people, which shines through his text as he admonished people to repent, lived an exemplary life and humbly beseeched God to be merciful to his people for their sins. One additional point to keep in mind is that prophecy is included in all of the divisions of books in the Old Testament. In addition to the prophecy found in the Prophets section of the Old Testament, the Law (the first five books of the Bible) and the Writings also include prophecy. See, for example, Deuteronomy 18:15, 18 and Psalms 45 and 110, which predicted Jesus’ coming to earth as a human. Let’s now turn our attention to similarities between the book of Daniel and the book of Revelation. The books of Daniel and Revelation are written in a style classified as apocalyptic. This style of writing was characterized by the extensive use of symbols and the belief that the end of the world was fast approaching. Apocalyptic writing flourished during the time between the Testaments. Even though many of the books written in the apocalyptic style were not inspired by God, internal evidence (in addition to the fact that Daniel and Revelation are included in the Holy Bible) confirms their veracity. While some critics believe the book of Daniel was written quite some time after many of his detailed prophecies had occurred, foretelling the future was something God often did through His prophets. As one of God’s prophets noted, “Surely the Lord GOD does nothing, unless He reveals His secret to His servants the prophets” (Amos 3:7). Furthermore, Daniel attributed the prophecies he wrote to God (Daniel 2:19-21, 22-23, 28; 5:14; 7:1, 15-16; 8:1, 16; 9:21-22; 10:1, 14). Daniel did not come up with these on his own. God, of course, is not limited in His understanding of the future. As He told Isaiah, “For I am God, and there is no other; I am God, and there is none like Me, declaring the end from the beginning, and from ancient times things that are not yet done, saying, ‘My counsel shall stand, and I will do all My pleasure’” (Isaiah 46:9-10). The book of Revelation is likewise a direct prophecy from God: “The Revelation of Jesus Christ, which God gave Him to show His servants—things which must shortly take place. And He sent and signified it by His angel to His servant John” (Revelation 1:1). Just because God inspired Daniel and John to record prophecies with similarities to the apocalyptic style of writing does not mean these prophecies are untrue. To the contrary, they are most surely true because they come from God, who cannot lie (Titus 1:2). While the majority of the Old Testament is written through the lens of God’s chosen nation, the ancient Israelites, the book of Daniel has a non-Israelite (gentile) setting in the Babylonian Empire. 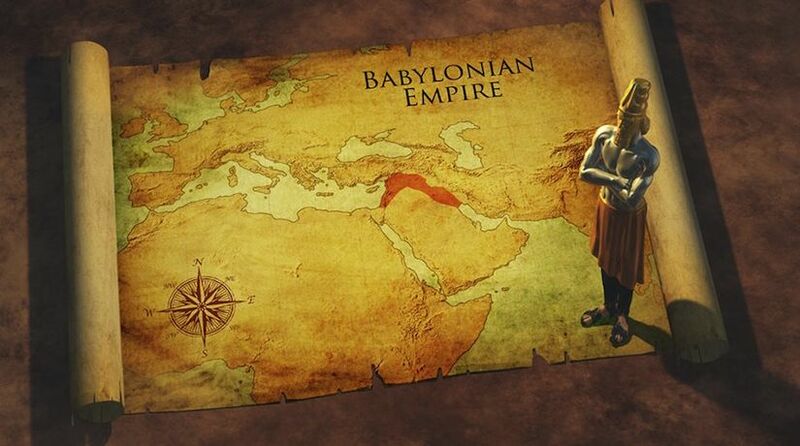 Over a century earlier, the northern kingdom of Israel had been conquered by the Assyrians and now the southern kingdom of Judah had fallen to the Babylonians. The Babylonians likely felt that they and their gods were superior to all others, including the god worshipped by the Israelites. However, God through Daniel demonstrated His superiority. Even King Nebuchadnezzar came to realize that Daniel’s God was the “God of gods, the Lord of kings” (Daniel 2:47). What a witness to the Jews who were now in captivity in Babylon because they had refused to honor and obey their God! Again, while much of the Old Testament focuses on ancient Israel’s history and especially its obedience and disobedience to God’s law, the book of Daniel focuses on a bigger picture. It describes some of the world-ruling empires that would exist throughout the ages. In a series of visions, both to King Nebuchadnezzar and to Daniel, God revealed a series of four world-ruling empires that would be followed by the Kingdom of God. The book of Daniel thus provides an overview of prophecy regarding these empires unmatched in any other Old Testament book. The Expositor’s Bible Commentary adds: “In NT prophecy Daniel is referred to more than any other OT book. Moreover, it contains more fulfilled prophecies than any other book in the Bible” (“Daniel: Introduction”). The New Testament book of Revelation builds on what God revealed through Daniel. The book of Revelation predicts a final reemergence of the fourth world-ruling empire spoken of by Daniel and then goes far beyond Daniel’s explanation of the coming Kingdom of God, which will also be a world-ruling empire. The book of Revelation reveals the steps that will occur prior to Christ’s return to establish the Kingdom of God on earth. It also provides more details and explanation of God’s judgment upon all people through the resurrection of the dead—a concept briefly mentioned by Daniel (Daniel 12:2). While we have already noted that the book of Daniel is referred to in New Testament prophecy more than any other Old Testament book, it is significant to note that Jesus also referred to this book. In one of His most famous prophecies, Jesus commented on “the ‘abomination of desolation,’ spoken of by Daniel the prophet” (Matthew 24:15). Although clearly prophetic, the book of Daniel has historically been part of the Writings section of the Old Testament. Through Daniel, who was a captive in Babylon, God shows that He is the supreme God. Daniel is the Old Testament writer who provides the most extensive prophecy of world-ruling empires that would exist on earth. The book of Daniel complements the New Testament book of Revelation. For additional study, be sure to read the accompanying articles covering subjects and events found in the book of Daniel.